There’s something undeniably addictive about the ban mian from this stall. 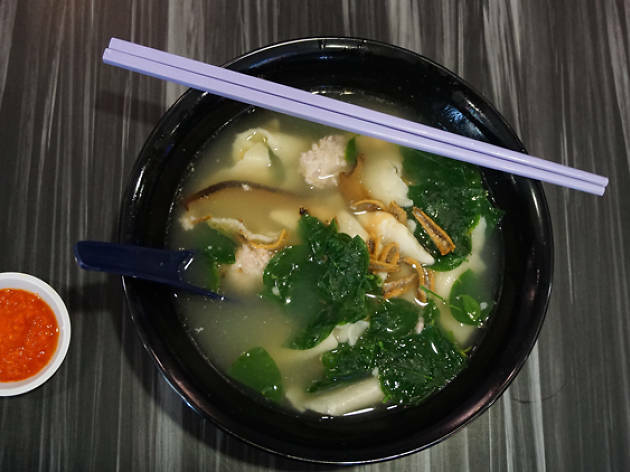 Choose from eight options – we recommend mee hoon kueh – and your soup base. We tried the wildly raved-about abalone clam handmade noodles (from $4) with its moreish flat flour noodles cooked the way we like it: chewy and with bite. 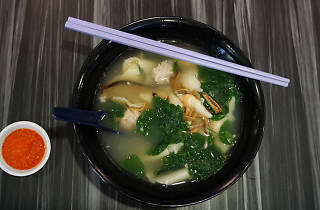 The soup is comparably lighter than your typical bowl, but it’s fragrant with onion oil, and easy to slurp when paired with clams and coarse wolfberry leaves.